Henry is CEO and founder of Inform Direct and has experience in building a brand and successfully exiting. As former CEO at Suffolk Life Group, he built the team from 8 to 200, and the assets under management from £3m to £3.5bn, before eventually selling the company to Legal and General for £68m. In 2012 he set out to ease the administrative burden of setting up and running a company and founded the online company records management service, Inform Direct. He approached the Cambridge based crowdfunding platform Syndicate Room and raised a remarkable £450,000 in less than two weeks. 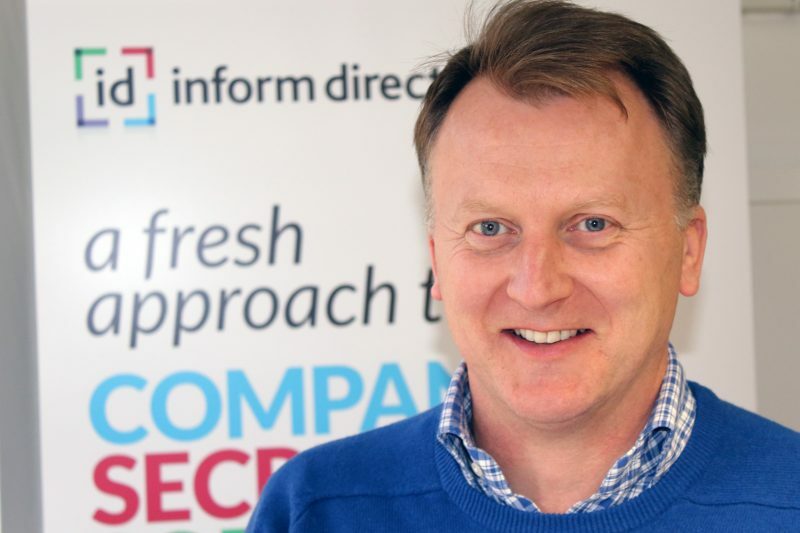 Inform Direct has seen rapid growth and recently announced an alliance with KPMG. Henry is confident that the business will need no further investment before reaching profitability and thereafter has a very exciting profit potential. Henry will share his business journey, lessons learnt and ideas and advice for managing growth in any size business. Henry has served as chairman of East Green Energy Ltd, experts in renewable energy systems and as a trustee of East Anglia’s Children’s Hospices (EACH). He is also a director of iStreet Giving Ltd – an online shopping portal which generates payments for good causes. In the far recesses of his mind he has a vague recollection of qualifying as a solicitor with Macfarlanes in London.